When my mentor asked me for specific quotes from “potential customers” to demonstrate demand in an investor presentation the next day, I was up S*&% creek. *Names excluded for this blog post. Permission was specific to being used in presentation decks. Make sure to respect your customers (and potential ones). 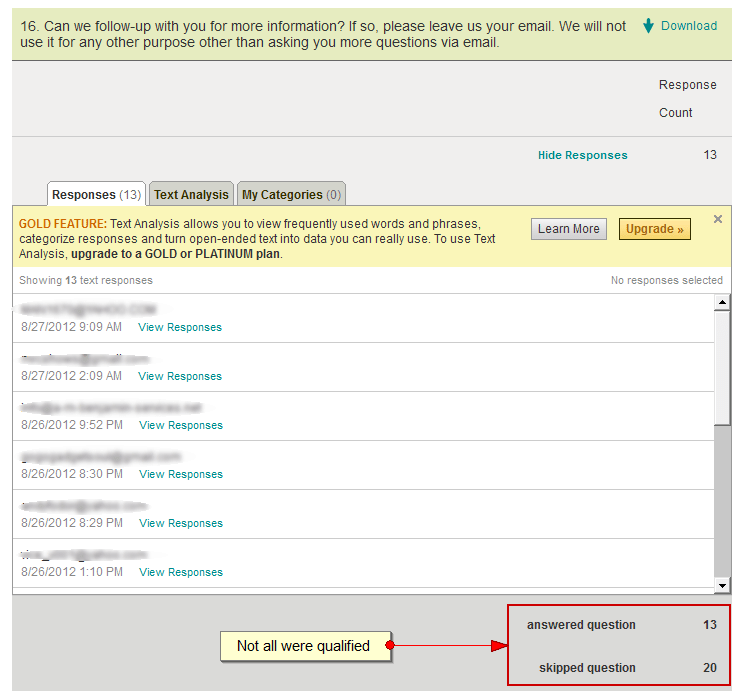 Unfortunately, through all my early customer interviews I had failed to collect quality quotes (until now). I know I heard some great quotes, and probably scratched some down on paper, but I did a terrible job at documenting them, and I never asked for permission to use them. I needed new customers to interview, FAST, and I needed enough quotes from them to ensure that I had a pool of HIGH QUALITY quotes. Sure, I could have gone back to people I interviewed, but I decided to use this as an opportunity to reach more people and do more validation. 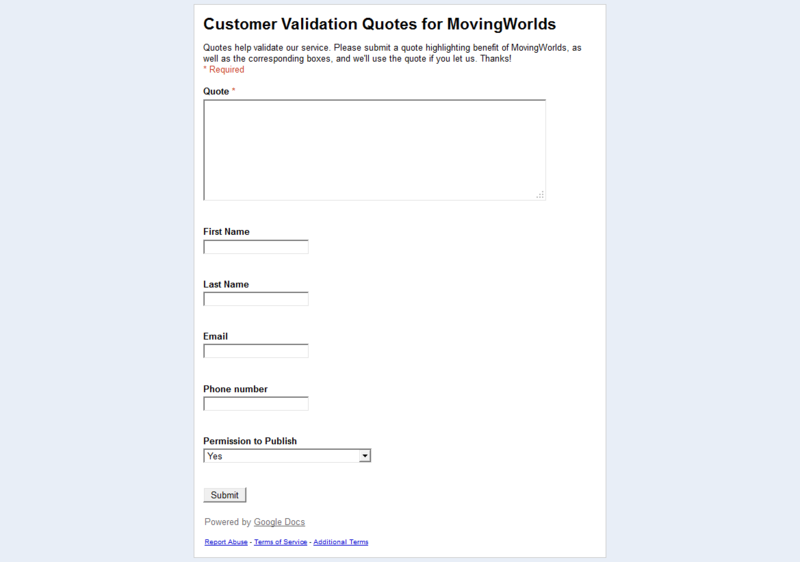 And as my new venture, MovingWorlds, is working to effectively scale international, skills-based volunteering, I needed quotes about professionals who, in their own words, expressed needs that our solution addresses. I was hoping for 2 things from finding people on Quora: first, to get feedback directly in Quora, and also to direct some traffic to a survey. 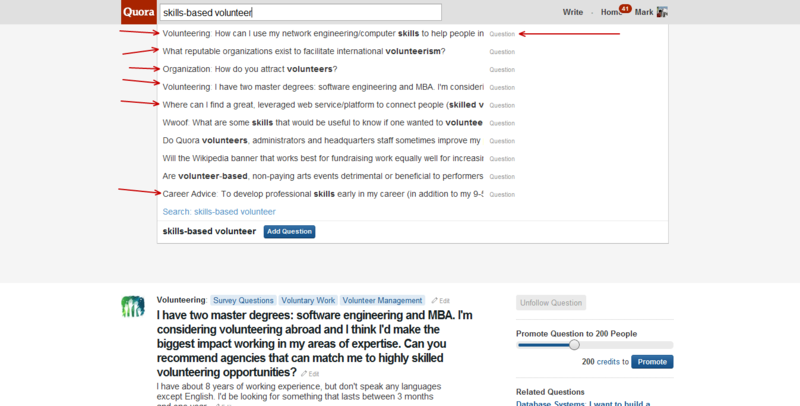 After I looked through Quora for a few minutes to better understand that types of questions and answers people were giving about this skills-based volunteering topic, I went to SurveyMonkey and setup a survey to capture the data I needed. I was then able to leave comments on Quora, and in exchange, ask for people to take few moments to give me feedback on Quora, and in my survey. NOTE: Be respectful about searching for feedback here. 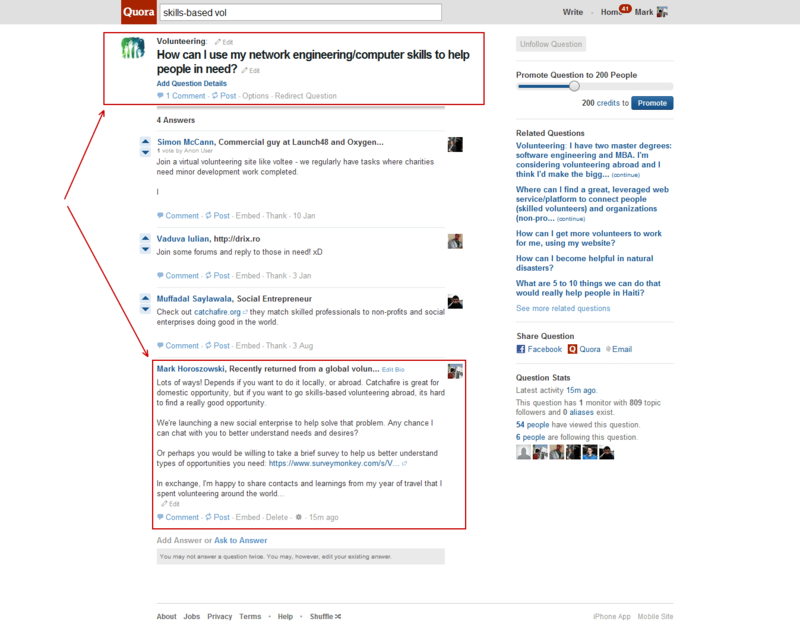 People come to Quora for answers, not for spammy trawlers. 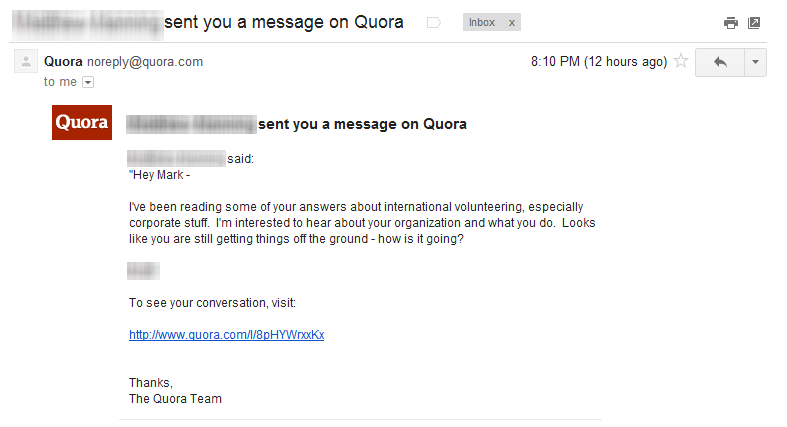 In addition to survey responses and comments on Quora, I also received personal messages as follow-up. In a relatively short period of time I was able get useful quotes that I needed to use as anecdotes and proof points in my pitch deck, find new customers to interview, better understand customer needs, and find matches for the next phase: concierge MVP (I’ll write more on concierge testing, later). 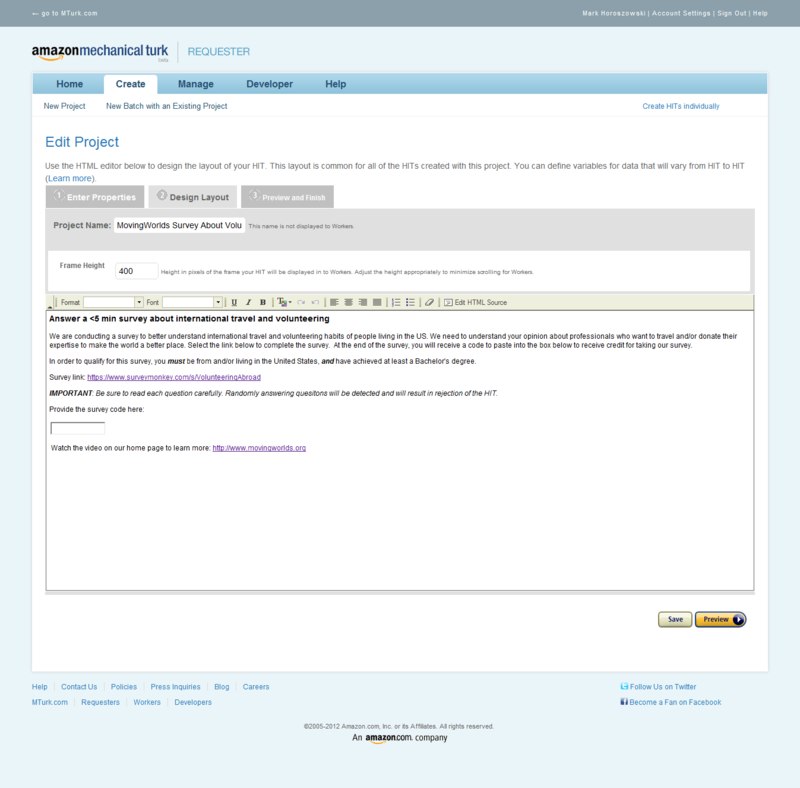 Step 2: Setup HITs in Mechanical Turk. We are conducting a survey to better understand international travel and volunteering habits of people living in the US. We need to understand your opinion about professionals who want to travel and/or donate their expertise to make the world a better place. Select the link below to complete the survey.&nbsp; At the end of the survey, you will receive a code to paste into the box below to receive credit for taking our survey. IMPORTANT: Be sure to read each question carefully. Randomly answering quesitons will be detected and will result in rejection of the HIT. I have not yet had the time to follow-up with all my survey responders, but I have gotten some useful feedback and a great list of qualified people to interview and get quotes from. 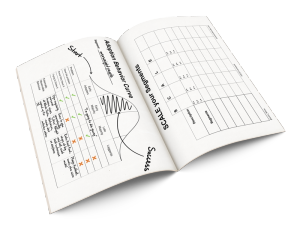 Join the experiment – want more ideas on validating your business model and sharing that validation with others? Subscribe via Email or RSS for our next update: How to Interview Complete Strangers. The Sales Pitch is Dead. Long Live Solution Interviews!